Bogof Bingo Casino will then reward you with a bonus (Welcome Bonus is for new players only). The terms and conditions of the bonuses vary between different casinos and might also change over time and between different countries, so it is important to compare the different offers and read the T&C for Bogof Bingo Casino before signing up. Buy one get one free! Sounds good? Wait until you see what else awaits you at Bogof Bingo Casino! This Manchester-based establishment is operated by Virtue Fusion (Alderney) Limited and is licensed by Alderney Gambling Commission and the UK Gambling Commission (UKGC). The venue utilises the service of the ODR so you can submit your potential acclaims through the service. Originally launched in 2009, Bogof Bingo Casino started off as a small online gambling venue with a humble offering and moderate popularity among competition. However, the site went through a major makeover in 2014 and has since been rocking the world of online gambling. What they say about themselves is, “First and foremost, we provide the best value for money bingo available.” And to be honest, to us that sounds attractive enough to have a look at their quarters. Fun never stops at Bogof Bingo Casino! Aside from the catalogue of interactive Bingo games, at this online casino you can try your luck with around 80 other games such as video slots, progressive jackpots and casino games. The sole software provider that Bogof Bingo have put its trust in is the one and only Playtech, manufacturer of well-known fan favourites that include a bunch of branded and thematic titles alike. They at Bogof Bingo put enjoyment above all, which is something they highlight multiple times, and we appreciate a devoted online casino. In addition, you can play all of the games on the go thanks to the smoothly performing mobile compatible platform. Organisation-wise, you will not find a manual search engine, but there is a nifty site map on the bottom of every page, in case you lose your track while gambling with Bogof Bingo Casino. Bogof Bingo Casino’s slot library is just cookie-cutter perfect. Having stated that Playtech is the one creditable for the quality slot offering, we will now go on to tell you about the exact titles that you can wager your money on, get some ultimate entertainment and end up richer than you have ever been! One of the hottest titles is the talent show-themed Playtech slot Britain’s Got Talent, as well as the pink-tinted Ladies Leisure, a fan favourite among women gamblers. Other branded titles like Pink Panther are also featured, but that is far from all. Prompting your luck are greens like Rainbow Richer and Clover Rollover, whilst history buffs will love Cleopatra’s Chest, Mayan Mania and Castle Cashalot. Explore the rest of the opulent slot collection ad fill your pockets with cash! As far as table and card games go, at Bogof bingo Casino you will be able to revel in one title – the classic Roulette. From the realm of Bingo games you can play on a range of popular variants of the classic game such as 75-ball Bingo, 90-ball Bingo, Free Bingo, Rainbow Riches Bingo, Lucky Numbers Bingo and Deal or No Deal Bingo 90, for instance. Bogof Bingo boasts a friendly and warm atmosphere with a social aspect to it achieved by hosting a diapason of rooms with a built-in chat facility. We have not been able to find any live dealer games in Bogof Bingo Casino’s impressive portfolio. Some players prefer when their online casino of choice offers a mass of payment methods, while other appreciate when there is a small, yet functional selection. The latter is the case with Bogof Bingo Casino. The online gambling destination focuses on bringing along a decent, yet sufficient number of banking options that will suit the needs of most players. Therefore, to wager and withdraw your hard earned money at Bogof Bingo Casino, you can use PayPal, Paysafe Card and credit and debit cards Visa, Visa Electron, MasterCard and Maestro. The only currency accepted at this typically British online gambling venue is the British pound sterling. Nothing grinds our gears like a slow and inefficient customer service. They at Bogof Bingo Casino make sure all your questions are answered and operate 7 days a week to help, advise and listen to you. You can utilise the casino’s Live Chat facility anytime between 8 am until 12 am, Monday through Sunday. Through live assistance you will be able to have your issues resolved in a matter of seconds in real time. During the same business hours you can give them a call to their toll free UK phone number 0161 413 7000. Another way to contact the agents is to email them. You can do that very easily by filling out the on-site contact form directly on the ‘Contact Us’ page. If you go for this option, you can expect a reply within 24 hours. Moreover, there is always the venue’s comprehensive FAQ list. 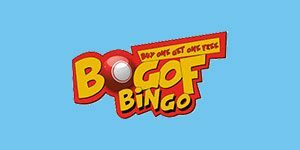 Lastly, reach out on social media and search for Bogof Bingo on Facebook, Twitter and Instagram.